The Grand Fourwings Convention Hotel Bangkok proudly offers a new Signature dish “Spaghetti Phad Cha”. Enjoy with the best tasting in the secret recipe at Grotto Restaurant Champagne and Wine Bar, throughout July 2016. Grotto Restaurant Champagne and Wine Bar offers superior menu “Spaghetti Phad Cha”. 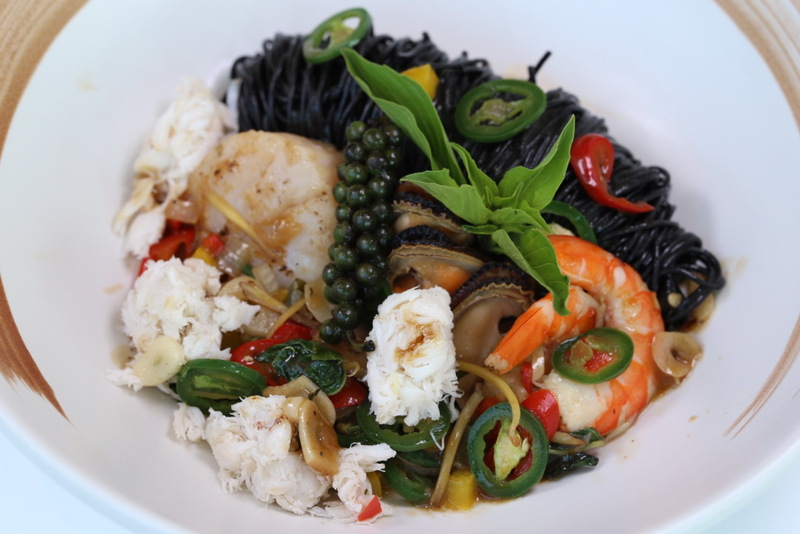 Enjoy the delicious selected ingredients such as Black Ink Spaghetti with Spicy Tomato Concussed, Shrimp, Scallop, Crab Meat, Green Pepper Corn and Holy Basil by professional chef at price THB 350 ++ per dish. Serve every day 16.00 - 01.00 hrs. For reservations please call 02-378-8000 ext. 4048. วันที่ 6 กรกฎาคม 2559 เวลา 19:17 น.